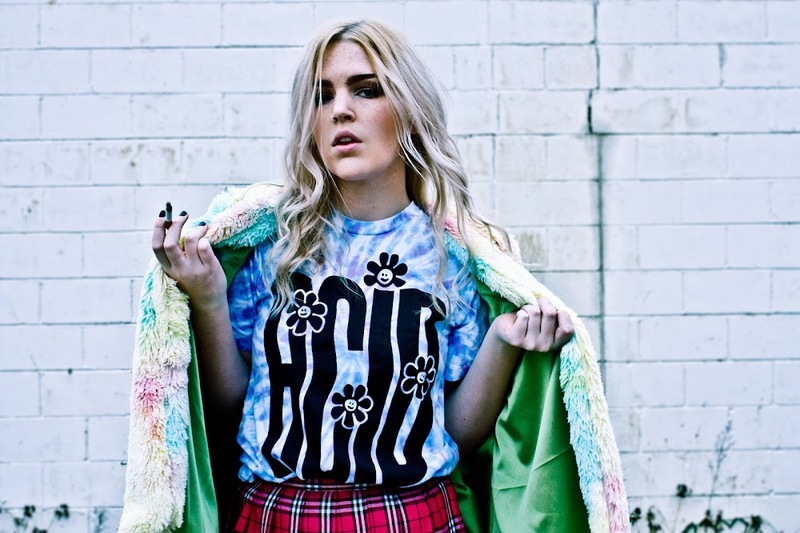 Part Two of the shoot for Tibbs & Bones featuring their super cool Acid tie dye tee. This outfit is a little less wearable, though in saying that I wanted to make this more of an everyday look I would probably just swap the heels for creepers and add some tights. But I love doing outfits like these. Its fun to just mix and match patterns and textures and forget about all the rules and regulations when it comes to what is appropriate. And I just think this faux fur makes any outfit incredible! 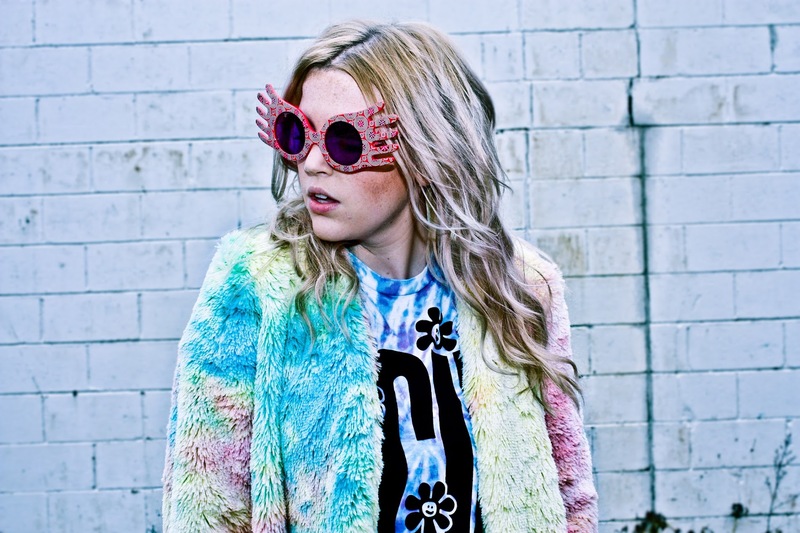 I was defiantly inspired by my Luna Lovegood glasses. I've had these babies for such a long time, since around the time I dressed up as her to a Uni party, I went all out and created two editions of The Quibbler too. I have a deep love for anything magical, mystical, mythical and supernatural. I thoroughly enjoy anything that helps me escape reality. There will be many times during the day where I will find myself day dreaming about having superpowers or magical powers and it's incredibly juvenile but I don't care. I've never imagined myself to play the role of the human in these story lines though. I mean if I was Bella Swan, Elena Gilbert or even Sookie Stackhouse I would have forced my vampire boyfriend to make me immortal a lot sooner, then I would have got the hell out of my stupid small town, used my powers to make me rich and live the rest of my life seeing every inch of the world and doing all the stuff that I wish I had enough time for now. 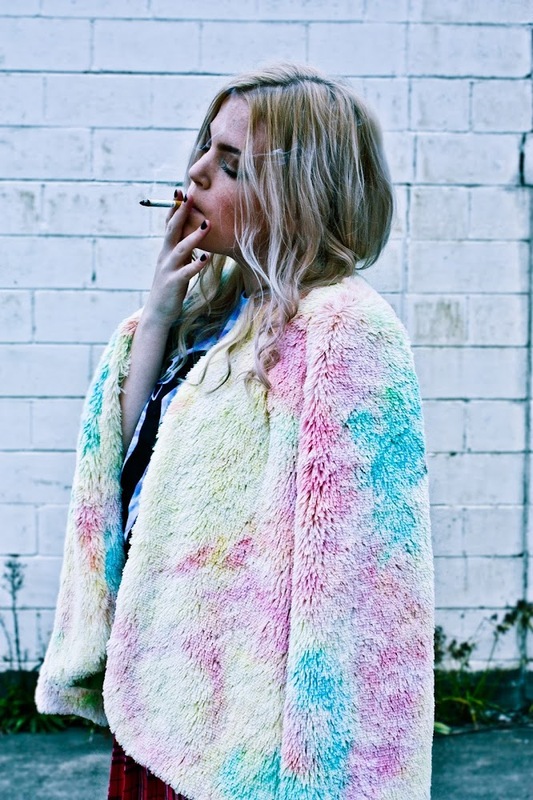 so many great elements in one :) I adore all your multi-colored jackets! And as a creative being I experience love as mercy, authenticity and infinite potential. Love is what builds empires and creates giants. But what I know most of all is that without love, none of us would exist.